CES is over and I'm back from Vegas. I had a great time doing social media during the show. 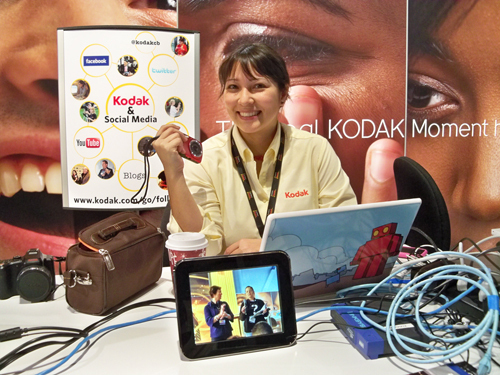 I was especially excited to do a cupcake tweetup right in the Kodak booth. I have been dreaming of the day I could integrate cupcakes into my career and BINGO! Social media runs on sugar. I enjoyed following your CES tweets & hoped others cashed in on the cameras & cupcakes!